George Santayana has said “Those who cannot remember the past are condemned to repeat it”. 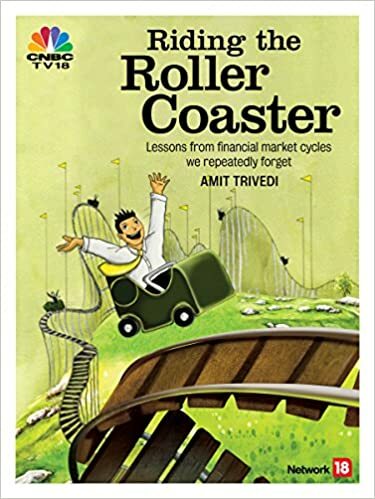 Amit Trivedi’s book helps us live through and experience the past vicariously and helps us in avoiding a repeat of the past mistakes. For those who are contemplating not reading this book, there is an alternative. They could directly try investing and the markets will teach them. However the tuition charged by the market is quite high! During the great depression, a young investment professional – Benjamin Graham – used too much leverage. This was a combination of leverage and a crash in the market. His portfolio hugely underperformed the overall market. Graham corrected his mistake subsequently and emerged a winner. Graham eventually came to be known as the “Father of investing”. One of his disciples, Warren Buffett, earned more fame than the teacher. After his disastrous experience as an investor during the great depression, Graham said that the mistake was that he owed money. “I didn’t repeat that after that.“, He said. Leverage is not bad by itself, too much of it is disastrous.